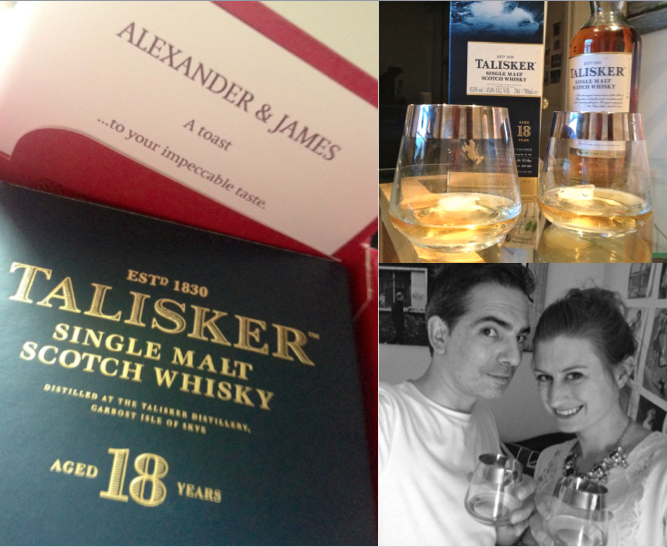 In celebration of this year’s Father’s Day, Jorge and I were sent a bottle of a rich, full-bodied single malt Talisker whiskey from Alexander and James so we could toast to our dads and share a few of our favourite memories since neither of us will be there (US and Spain) to celebrate with them in person. 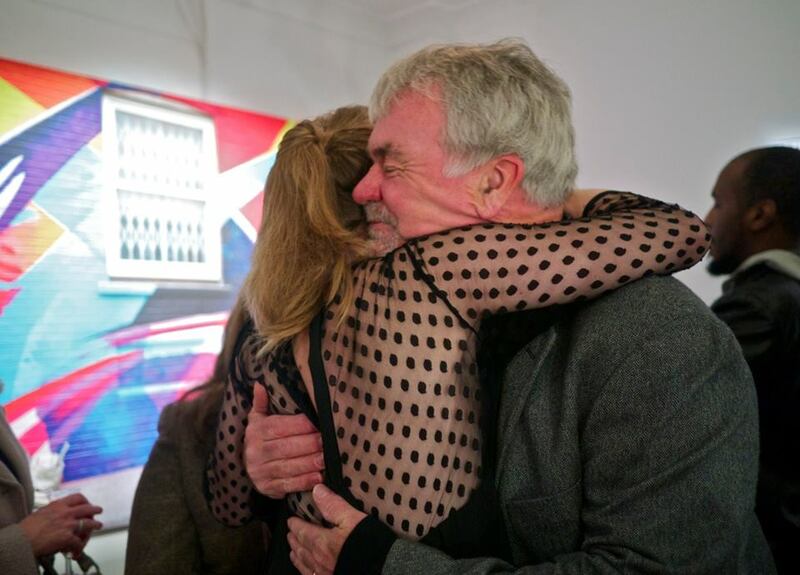 I have many great memories of my dad from childhood through now, but one of my recent favourites was from November last year when he showed up in London to surprise me for my first solo photography exhibition at The Chance Gallery in Chelsea. I had no idea he was coming, so it was an emotional moment. 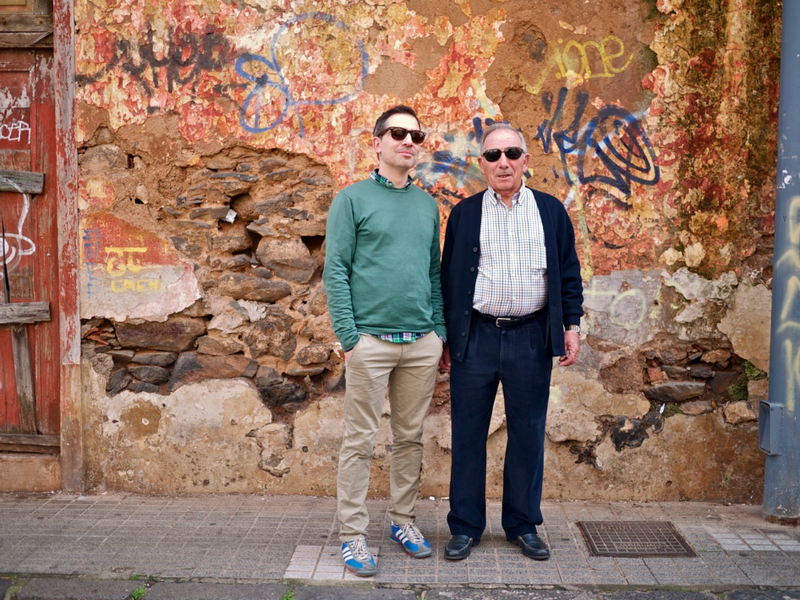 It was also funny because I had been in New York a few weeks earlier and was meant to bring a pair of shoes my dad left at my flat in London the last time they visited. He needed them for a “presentation” (which turned out to be my exhibition). In my rush to pack, I somehow managed to only bring one. So he joked at the time, he would have to come back and get it himself. So he showed up at the gallery with one of his nice shoes and one trainer saying he had come to collect it! 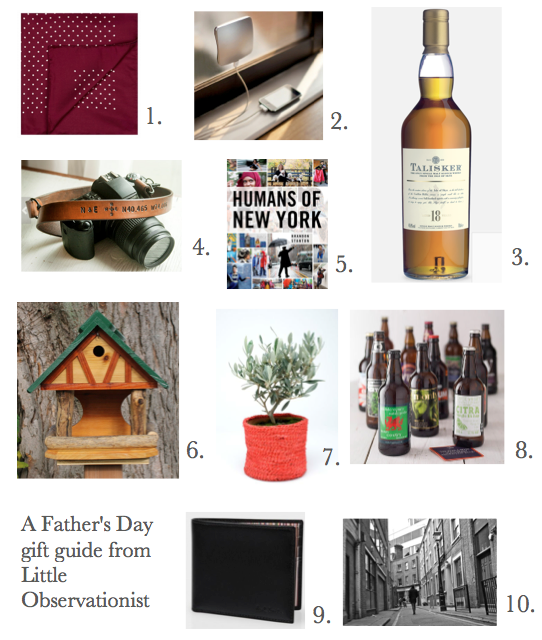 PS – There are more Father’s Day gift ideas for Alexander and James on their website if you’re looking to stock the bar! This post is brought to you through collaboration between Little Observationist and Alexander & James. Even though our bottle was free, I’d definitely recommend the whiskey! Thanks for supporting the sponsors who make this blog possible. What wonderful memories of your Dads!! 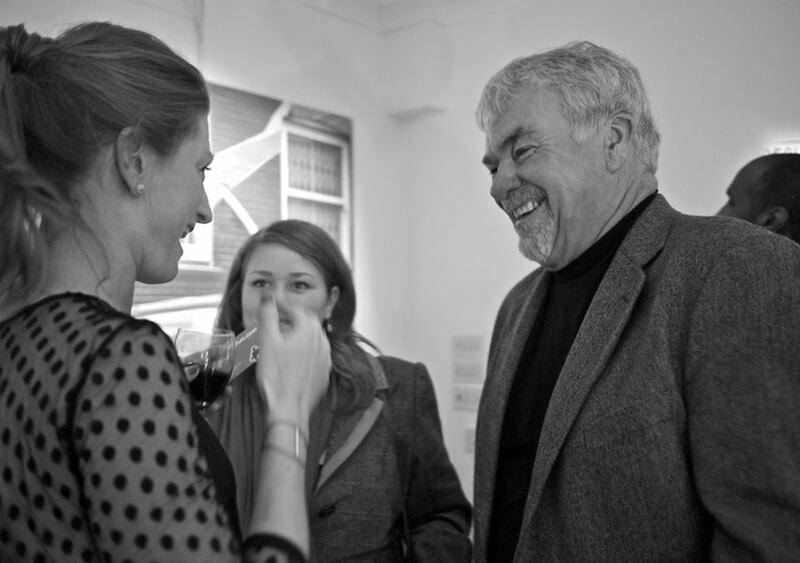 I think that is so awesome he surprised you by coming to your exhibition! So amazing and loving. What a great guy!! !